Many homeowners and avid gardeners understand the benefits of using fertilizer to the support the overall health of their landscape and garden. However, it’s not always clear why certain types of fertilizer may be ideal for some situations and not for others. Knowing the pros and cons of each type can help you select the ideal fertilizer for your unique setting. For instance, should you choose a liquid or granule fertilizer? Learn more about the differences between different types of fertilizers so that you can choose the best products for your landscape and garden. Dry fertilizers are typically offered in granules. Many granular products are often formulated with a mix of fertilizing materials. One of the great advantages of granular fertilizer is that it’s easy to store. In most cases, it can be kept in your garden shed, garage, or other areas of your home where you store your landscape and garden gear. Many gardeners and landscapers prefer to use granule because fewer applications may be needed to support plant health and nutrition. Granules offer a slow-release of nutrients, so they invariably feed plants and crops longer into the growing season. Granules are also ideal for use in pre-planting applications. Of course, there are some drawbacks to granules that are important to note. For instance, granule fertilizer tends to have a high salt content. This can burn leaves and compel roots to steer well away from those important nutrients that it needs for good health. Gardeners should also note that fertilizer granules are not uniform in terms of content. This means that some granules may be less packed with nutrients than others. Finally, granules are not ideal vehicles for certain types of nutrients such as phosphorus. Certain nutrients can be more effectively delivered in a liquid fertilizer. Many gardeners and landscapers prefer to use liquid fertilizer products because they generally are much easier to handle and apply. In fact, liquid applications tend to be more uniform and can be used at the beginning for the season and for in-season applications. Liquid fertilizers tend to be quick acting—certainly faster-acting than granule fertilizers. Because they act quickly, they often produce an immediate effect, which can be gratifying when searching for signs of good health among landscape plants and grasses. As with granule products, liquid fertilizers also have some disadvantages that are important to be aware of. First, liquid products typically require more frequent applications. Additionally, gardeners really have to follow the manufacturer’s instructions to the letter as errors can easily damage your plants. Liquid fertilizers are sometimes susceptible to volatilization, so they don’t store as easily as granules. Finally, some gardeners and landscapers may find it expensive to purchase equipment for applying liquid fertilizers; however, such equipment is typically a one-time investment. Of course, you can always discuss your fertilizer needs with our helpful staff. We’re here to answer questions about our products and to help you choose the best ones to support your landscape’s health and well-being. Droughts come and go in southern California — but we live in a desert, so another one is always waiting in the wings. That doesn’t mean that you can only plant cacti and palm trees in your yard, though. Plenty of drought-proof trees can help make your yard beautiful while remaining drought-resistant and conserving water. Take a look at these fast-growing trees that let you drought-proof your California yard. Those pink flowers help give this drought-resistant tree its name. This hardy tree is a great choice as a street tree or a shade tree, and you can even grow it as a container tree, at least for a while. 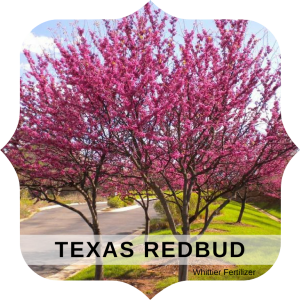 The redbud is a deciduous tree that grows rapidly, at a rate of about 2 feet a year. Give it a hand by adding soil amendments that help this tough tree retain water. This graceful shade tree spreads widely across your yard as it soaks up the sun, and it has beautiful weeping foliage that moves softly in the breeze. Expect it to grow quickly, and be prepared to do a little light trimming to keep it under 25 feet high. While the African sumac, which is native to South Africa, loves deep watering, it remains tough when the weather turns dry, and its evergreen foliage stays full and lush year-round. 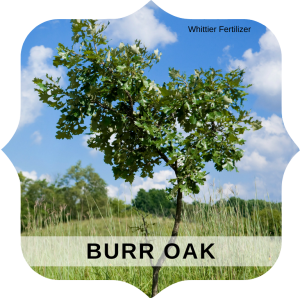 When you plant a Burr oak, you’re leaving a legacy that your children will enjoy… and their children, and their children after them, as this majestic spreading tree grows for up to 150 years. Make sure you have plenty of space for this oak tree, also called the mossycup oak, to spread out, as its shady canopy can reach 30 feet in diameter. The striking leaves of this tree turn bronze and gold before they fall in the autumn, and it’s a welcoming home for all kinds of birds. Add beautiful, showy flowers to your landscaping when you plant the desert willow, a hardy tree that’s native to southern California as well as to Mexico and Texas. This low-branching, deciduous tree loves full sunshine, and the more it gets, the more it puts out its pink, white, lavender or rose-colored flowers that spread a light fragrance around your yard. You can plant the desert willow and (almost) forget it, as it only requires occasional deep watering, handling drought like a pro, as its name points out. You’ve probably seen a lot of blue Palo Verde trees around, even if you weren’t aware of it because this SoCal native is a standard in drought-resistant gardens. Look for bright yellow flowers to bud in the spring, and don’t be surprised if you see a lot of birds and bees hanging around it. 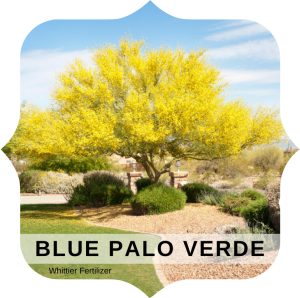 The Blue Palo Verde isn’t a great choice if you’re near the ocean, but full sunshine is no hindrance to it. Help it out a bit when you mulch around the trunk to prevent erosion and discourage weeds. Drought-proof trees are hardy, but they still need the right fertilizer and amendments to stay healthy. For instance, the African Sumac an organic fertilizer or manure. In general, look for a fertilizer with a high potassium level because this enhances drought tolerance. Southern California has the perfect weather for growing herbs. 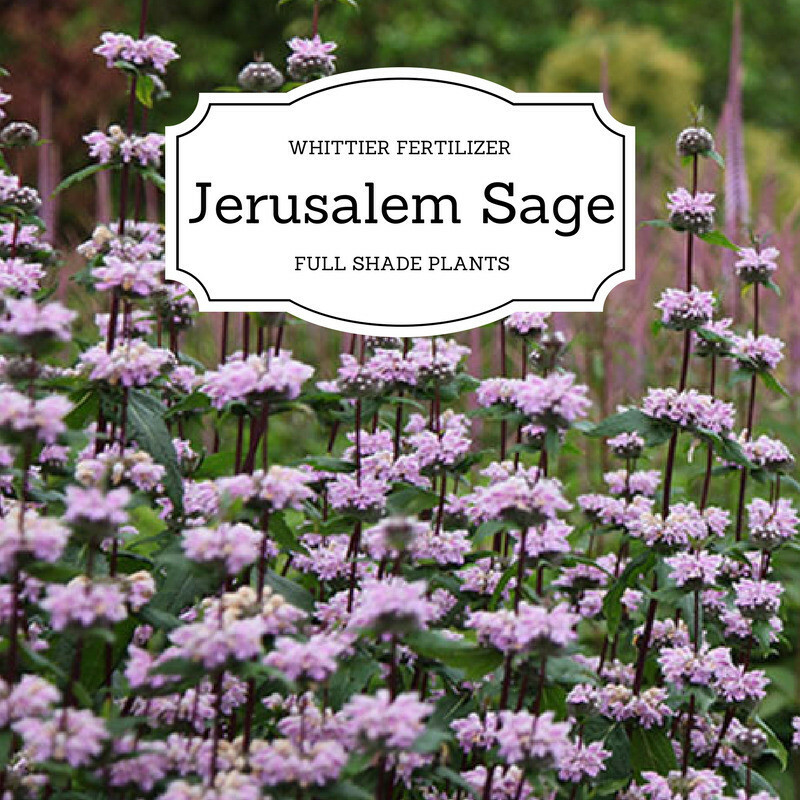 Because it falls in zone 9 and 10 on the USDA Plant Hardiness Zone Map, the climate is idea for plant growth because most herbs thrive when they have plenty of sunlight. Most herbs need six to eight hours of direct sunlight, both in the morning and early evening. However, when the temperatures reach ninety degrees and above, the amount of sunlight can be reduced to about four hours in the morning. Also, you might want to provide some artificial shade as temperatures rise. The soil is also important when it comes to growing herbs. Herbs produce essential oils and the production of these oils can be drastically affected by the soil. Herbs like slightly moist but most importantly well-drained soil. Too much water and herbs tend to rot. Much of the natural soil in zone 9 and zone 10 is sandy. Because of the sandy nature of the soil, natural fertilizers like manure should be used as a supplement. To prepare your soil. place about a 2-3 inch layer of manure or compost over the top of the sandy bare soil. Using a shovel or trowel, dig it in about 5-6 inches, mixing well. In addition, a layer of peat moss will help keep the ph of the soil down and also aid in water and nutrient retention. How well air is circulated around your herb plants is also very important. How closely the herbs are planted to each other, will make a difference in how well your herbs grow. Beware of how closely you plant certain herbs. Some herbs do not mind being planted closely next to each other. Other herbs will need more space, in order to spread out. Herbs, such as sage, mint, marjoram, oregano or rosemary, need a little extra room to spread. With these herbs, you should allow for at least 3 feet between each plant. Other herbs like parsley, chives, and cilantro, don’t mind being planted closely together and can get by in a relatively small space. When planting your herb garden, keep in mind that some herbs, like mint or lemon balm, should be planted in containers to protect against their invasive nature. Growing your own herbs can be a fun and relaxing experience. There is nothing better than using your very own home-grown herbs in the preparation of your food. If you live in a climate such as southern California, you have a unique opportunity to do just that. Take advantage of this and have some fun growing your own herbs. Between homemade smoothies, skin care, and good old-fashioned guacamole, who doesn’t love a fresh, ripe avocado? As much as we all wish that avocado trees could be a plant it, forget it, and harvest affair, caring for your tree requires consistency and vigilance. The health of your tree can and often does have a huge impact on your harvest during fruit-bearing season. 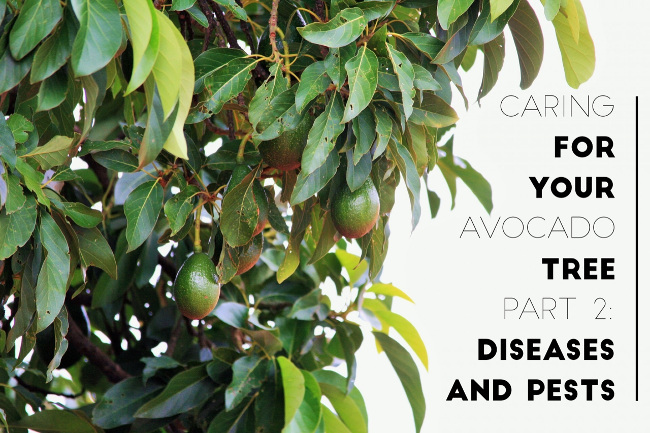 Here’s an overview of some of the most common diseases and pests that avocado tree owners have to be on the lookout for. Avocado trees that have been hit by sunblotch are often stunted in growth, discolored in the twigs and the bark, and, perhaps most importantly, yield discolored fruit. Even in situations where the tree doesn’t show a lot of symptoms, it’s not unusual for the annual yield to go down dramatically. Treatment Options: Because sunblotch can’t be cured, tree owners have to focus on preventing it from spreading. Pruning tools need to be sanitized in bleach if they’ve been used on a sunblotch-infected area and if you can, using separate and uncontaminated tools for healthy trees is ideal. In situations where a single tree is at issue, it’s sometimes recommended that you destroy the infected tree to prevent spread to the others. You don’t have to be a tree whisperer to see when a tree is suffering from cankers. Not unlike a boil or a sore on human skin, trees with this condition often take a sunken appearance with sap and gum often dripping from the exposed areas. This may be merely unsightly if it’s just branches and trees affected, but if cankers develop in the trunk, this is a condition that could potentially kill your tree. Treatment Options: Cankers require a multi-faceted approach to treatment. Pruning and removing dead and dying branches below the area that’s been infected is a good start along with being careful to seal the pruning cuts. To address the bacteria causing the cankers, fungicides are often highly recommended. This is considered a fungal infection of the tree that usually happens as a result of unsanitary conditions and sometimes even from fruit that hasn’t been harvested quickly enough. You can tell when a tree is suffering from fruit rot when the fruit is wrinkling, showing brown spots, and falling before ripening. Treatment Options: To salvage an avocado tree that’s infected with fruit rot, it’s recommended that tree owners remove the infected areas of the tree as soon as possible. These pests aren’t always easy to spot visually, but the damage they do to leaves is undeniable. For those who are wondering why the falling leaves are considered such a big deal, it’s because the leaves are important to protecting the fruit from the damaging sun rays. If allowed to go unchecked, mite populations are capable of growing rapidly. Treatment Options: The introduction of predator mites is one solution that’s available to tree owners, but the most effective treatment for mites is specialized horticultural oil. As it turns out, the popular image of caterpillars chewing through apples has a strong basis in reality. These creatures go after flowers, leaves, and fruit, and if they’re given free reign, they’re capable of destroying an entire avocado crop in practically no time at all. The speed at which they operate is a big part of what makes a caterpillar infestation particularly dangerous to your tree. Treatment Options: Caterpillars can be treated with a bacterial spray called Bacillus thuringiensis. By taking care to spray the leaves and the insides of any buds, you can stop a caterpillar infestation dead in its tracks. This is a condition that results in scarred avocados and stunted growth depending on how serious the condition becomes. You will normally see these pests come during the earlier part of the season because they like to feed on growths and shoots while they’re still young and tender. Treatment Options: Thrips try to seek moisture so stopping an infestation ultimately comes down to a combination of repelling the population on the avocado tree and removing alternative hosts. To combat thrips, it’s ideal for tree owners to pull out any grass or other plants near the avocado tree and to also apply a pesticide or oil and fat-based soaps designed to kill harmful insects. So we’ve talked about common diseases and pests that are capable of doing serious damage to an avocado tree. What a lot of these conditions have in common is the simple fact that if you catch the problem early, you have a much better chance at salvaging your tree. Are there any signs to look out for? Is there some way to know if you should be suspecting a pest infestation? If you notice any or all of these occurring, it could mean that there’s a problem with the tree that requires further investigation. Can You Save or Protect Your Avocado Tree From Pests or Disease? The good news is that many of the conditions mentioned here can be managed and actively protected against with a strong regimen of pruning, careful containment of problem areas, and fertilizer. Whittier Fertilizer has two products that will not only help your tree grow but will also promote higher yields in its Grow More Citrus & Avocado Organic Fertilizer and its GreenAll Citrus and Avocado Food. Both of these products are organic, consistent, and go a long way toward promoting and preserving the health of your avocado tree. If you have an avocado tree, you’re in a better position than most to enjoy avocado-based sandwich spreads and chip dips all year-round. Protecting your tree’s health is essential to keeping those harvests healthy and plentiful. Consider contacting us today if you have any questions. Poinsettia plants are synonymous with the holiday season, and in many homes and businesses this festive plant is must-have for the holidays. As a native to hot, tropical climates, poinsettias can be a bit tricky to care for during the cooler winter months here in Southern California. However, with a little care and know-how, you can keep your holiday poinsettias vibrant and healthy throughout the holidays and beyond. There are over 100 known varieties of poinsettias, with bracts (colored leaves) ranging in color from the traditional bright red to pink, white, marbled (varigated), and even speckled. If you’ve noticed blue-hued poinsettias, those are actually white-bracted varieties that have been artificially dyed. Each variety varies in size, bract shape and color, and even the texture. There are also unique variations in the stems of the plants themselves, providing you with a wide range of options when it comes to choosing your poinsettia. Look for plants that have broad, blemish-free bracts surrounded by lots of full green foliage that extends right down to the soil line. Regardless of the height of the plant, the foliage should be at least double the diameter of the plant’s pot. Pass on any poinsettias that are wilting, have a moldy odor, or are sold in non-breathable plastic sleeves as these plants may already be diseased. When you first bring your poinsettia into your home or office, place it near a sunny south or east-facing window to maximize exposure to natural light. Water until the soil is moist, and avoid leaving the base of the plant sit in water to prevent mold from forming. If your indoor space is dry, you may need to water your festive plant daily, and be sure to protect it against drafts that can lead to premature leaf drop. As a member of the Euphorbiaceae, or Spurge family, poinsettias often leach a milky sap through their leaves. This sap can cause mild contact dermatitis among people who are sensitive to latex, which likely led to the widespread (and incorrect) belief that poinsettias are highly toxic. According to Jay L. Hocker of the Mayo Clinic, poinsettias are not actually poisonous per se, however, they’re not exactly edible either. Researchers at Ohio State University studied the impact of poinsettia extract on lab rats, and they concluded that contrary to popular belief, it’s impossible to ingest a fatal dose of poinsettia leaves. Although it’s always a good idea to keep plants away from small children and pets, the naturally bitter flavor of poinsettia leaves serves as a natural deterrent against curious kids, dogs, and cats. By choosing a healthy, vibrant plant and following these simple care tips, you can enjoy the beauty of your holiday poinsettias throughout the winter. Looking to create a warm, welcoming landscape around your home that’s easy to maintain and free from highly-flammable plants and materials? While you can’t control Mother Nature, you can help improve the odds that your home will survive a wildfire by using fire-resistant plants and building materials in your yard. Also known as ‘defensible landscaping’, the idea behind firescaping your yard is simple – replace all the highly-flammable plants and hardscape materials with flowers, shrubs, and stonework to create a natural fire barrier around your home. French Lavender – Not only will this low-lying, drought-resistant plant help you conserve water, but it’s deep purple flowers and inviting scent will add beauty to any yard. California Fushsia – This deer-resistant perennial shrub can survive on very little water once it’s established, making it a great addition to any low-maintenance fire-resistant landscape. Aloe Vera – Aloe vera plants great to have on hand to treat minor burns and they’re also are a good choice for firescaping applications. As a medium-growing succulent perennial, aloe vera reaches heights of about two feet and needs very little water to survive. Coyote Brush – A California native, coyote brush is a dense, bright green ground cover plant that spreads up to six feet and can grow from 8″ to 24″ high. It’s a good choice for covering banks and other sloped surfaces. Succulents are plants with fleshy leaves that can come in a variety of colors. They are part of the same family as the cactus, and they can even be found on cacti in the wild. Succulents are excellent indoor plants because of their hardy nature and their colorful look. If you want to start planting succulents in your home to add color to your decor, then you should become familiar with the best ways to care for them. If you plan on planting your succulents indoors, then it helps to know the differences between hardy and soft succulents. Hardy succulents have thicker leaves and can survive in temperatures as low as -40 degrees Fahrenheit. If you live in an area with cold winters and want to plant in a window box or in a window display, then hardy succulents are ideal. Soft succulents can survive in temperatures below freezing, but die out by the time the temperature gets to 20 degrees Fahrenheit. Soft succulents offer a broad range of colors and sizes, which is why people like them for indoor planting. All succulents do well in temperatures reaching 90 degrees Fahrenheit, but temperatures that go beyond 90 degrees could damage your plants. Succulents require plenty of room for their roots to breathe and gather water. Standard potting soil is too dense, so you will need regular garden soil in your planting pot. Succulent roots will rot if left for too long in water, which is why your soil should contain good drainage. 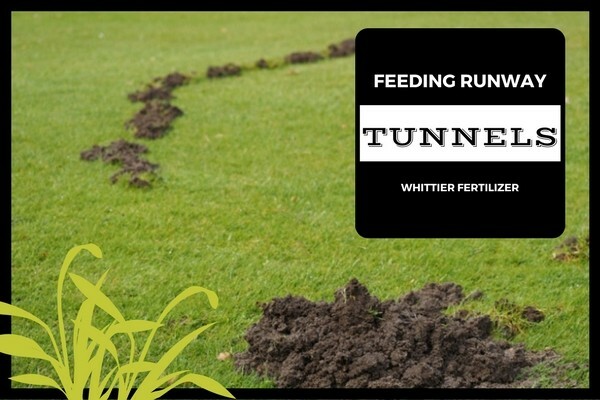 Whittier Fertilizer offers products such as 3/8 pea gravel, white golf course sand, and pumice to create ideal drainage conditions. A ratio of 2/3 drainage material for every 1/3 of soil is ideal for succulents. Unless you are an expert at caring for potted succulents, you should always use a pot with a drainage hole. Succulents will look great in any kind of novelty pot, but you must allow for water drainage if you want your plants to survive. As your succulents get bigger, you can trim their growth or move them to a larger pot with ease. Succulents can sunburn and die if exposed constantly to direct sunlight. You can either place your pots in a place where the sun offers limited exposure, or move your pots out of the sun halfway through the day. Succulents prefer standard room temperatures, but any species can tolerate a temperature drop to freezing. Do not over-water your succulents, and watch for pests. Potted succulents tend to be attacked by mealybugs, but you can spray your plants with a combination that is 70 percent alcohol and 30 percent water to protect them. Water your succulents at least once a week, but do not add water until the soil feels dry. If you keep your home at a warmer temperature, then you may need to water more than once a week. If you see the leaves of your succulents starting to take on a darker tone, then you are giving them too much sunlight. A good rule of thumb is to only expose your succulent plants to 50 percent of the available sunlight on any given day. It is important to remember that succulent roots absolutely hate being wet for an extended period of time. Some people use clear containers specifically so they can monitor the health of the roots. If you see the roots turning black, then stop watering your succulents so often. If you cannot see the roots of your plants, then look for your normally sturdy plant leaves to start going limp. That is a sign that you are drowning the roots. Succulents are great for indoors because they require little maintenance, but they add plenty of color to any home. Buy a hardy succulent and see how well you do with caring for it to see if you are ready to introduce your home decor to the color and personality of succulent plants. Moles are an enigma for gardening enthusiasts and people who love to keep a nice lawn. 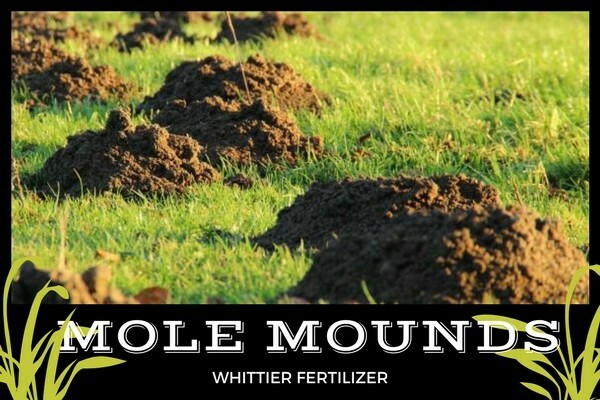 While moles do their part to aerate the soil and remove plant pests from your yard, they also like to create holes all over the place that can be unsightly and even dangerous. As with any other lawn pest, the best way to take care of a mole problem is to understand what you are up against and know the best ways to handle the situation. How Do I Know If I Have Moles? The two most common ways to tell if you have moles is if your garden vegetables are being eaten and your lawn has little volcano-shaped mounds all over it. Moles eat only insects and sometimes vegetables, which is both great and terrible for gardeners. You will be happy to know that moles are loners who rarely travel in groups, which means that you might only have to get rid of one mole to solve your problem. You can be pretty sure you are dealing with moles if your volcano-shaped holes in the ground lead to what looks like an underground network of tunnels. Moles constantly tunnel underground to find food, and that tunneling can cause your lawn to collapse in spots. Moles are hard workers, so you will need to address the problem quickly if you want to save your lawn. A mole is anywhere from six to eight inches long and is covered in brown or gray fur. It has a long snout on the front, and its front and back paws have what look like human fingers with long claws on them. At first glance, it can be almost impossible to see a mole’s eyes and ears, but rest assured that they do have both features. How Long Does The Average Mole Live? In the wild, a North American mole can live to be six or seven years old. Since moles do not eat many plants, they are not normally affected by the chemical pesticides used to keep out bugs. But if a mole does wander into a yard that uses chemicals, then its life span decreases significantly. Why Do Moles Live In People’s Yards? Moles eat approximately 80 percent of their body weight in bugs and larvae every day. Your finely kept lawn and well-fed garden tend to have the kinds of food moles love. A mole will burrow its way around your yard indefinitely looking for food until you put a stop to it. When a mole chooses your yard it is nothing personal, it is just survival. How Do I Get Rid Of A Mole? The first option, which is the hardest, is to simply catch the mole. You will need to be quick, but it is not impossible. Go around to all of the mounds the mole has created and either stomp the molehill down with your foot or tap it down with a shovel. Notice the direction of the holes and try to stand upwind of them because the mole can smell you coming. You will also need to stand perfectly still as the mole can hear your footsteps. When the mole pops its head out of a new mound, quickly dig into either side of the mound with two shovels. The shovels will trap the mole at the top of the mound, and you can put the mole into a box and take it miles from your home. A second option is to use a blend of organic repellent that seeps into the soil. Moles have a heightened sense of smell that they use to find insects. Using an organic repellent irritates their sense of smell and taste and quickly find another place to dig for food. A third option is to use a mole trap. First, find out if mole traps are legal in your state before you start setting traps. If mole traps are illegal, then use the humane method. If mole traps are legal, then get a couple of spring-loaded traps and put them in the mole’s tunnels. If you can determine the direction the mole is burrowing in, then that would be helpful. Set your traps and check them daily. After you have caught one mole, keep an eye out to make sure it was only a one-mole problem. If there are more moles, set more traps. The last option is to use poisons or chemicals to try to get rid of moles. Consult a professional if you are interested in this option as they can offer advice on what to use as using poison make you susceptible to killing neighborhood pets, doing damage to your lawn or garden, and getting arrested (if it’s not legal in your state). The easiest way to prevent other moles from using the tunnels in your yard is to spray a combination of two tablespoons of dish soap, one cup of castor oil, and one gallon of water into the tunnels. You can also purchase solar-powered mole-repelling stakes and place them throughout your yard. If you want to plant a garden but you only have access to land that is constantly shaded, then you need some good advice on which plants will grow in those conditions. Apartment dwellers can sometimes live in areas where the sunlight never reaches them, or many people have backyards that are permanently shaded by trees. Another common issue for gardening enthusiasts is only being able to plant alongside of a building that keeps the garden in the shade all day long. Luckily, there are several types of plants that can grow in the shade, and others that thrive on only partial sunlight. Before you give up on your dream of a beautiful garden, we recommend checking out these plants and giving them a try in your dark growing environment. Contrary to popular belief, mushrooms are not the only plant (or fungus) that grows in full shade. There are several types of flowering plants that enjoy the cooler and darker environment created by shade, and they can be brought together to create a beautiful garden. Jerusalem Sage – One of the more popular shade plants is a flowering plant called Jerusalem Sage. It can be found in yellow or purple, and it usually grows in groups. This is the ideal plant for lining your walkways, or giving color to different parts of your garden. 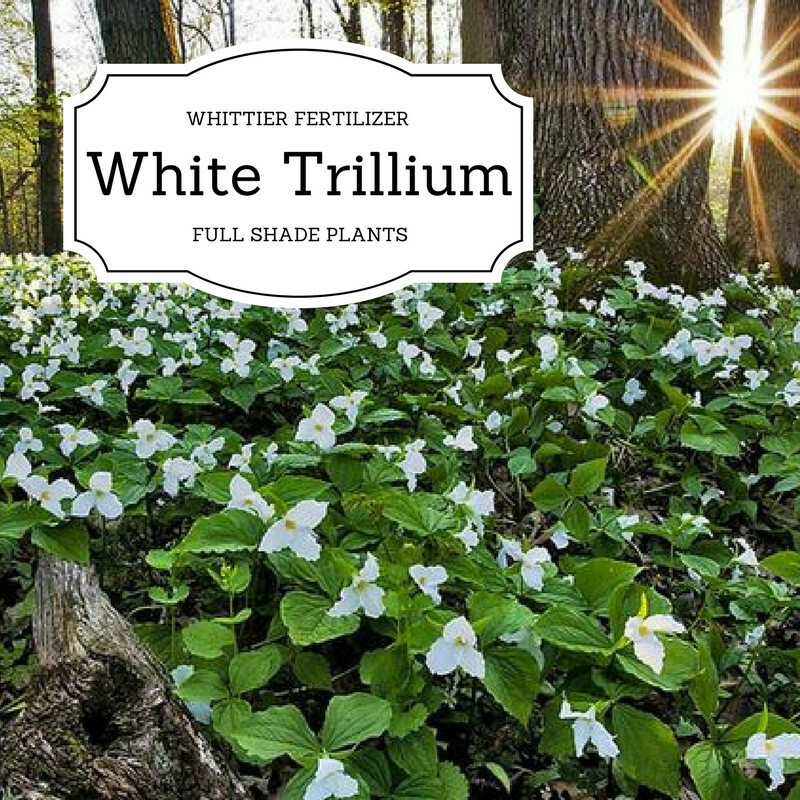 White Trillium – White Trillium is a wildflower accustomed to growing in dark forests, which is what makes it so hearty. It has broad, white petals and dark green leaves that make this flower stand out in any arrangement. 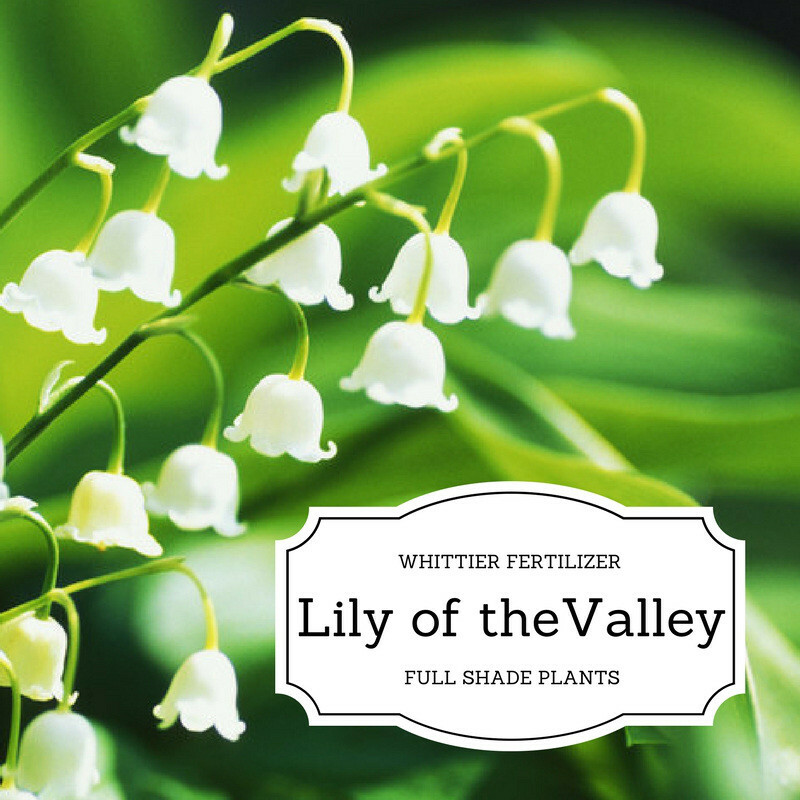 Lily of the Valley – If your garden is in the shade and restricted by a small footprint, then the Lily of the Valley is an ideal solution. This popular plant has large green leaves with yellow accents and small white flowers that can add character to any garden. Most of the wildflowers that have become popular can grow in any kind of shady conditions because they are used to the intermittent light of the forest. There are plenty of great plants to choose from if the sun only makes a temporary appearance in your yard each day. Hydrangea – Hydrangea bushes actually prefer shade during the hottest times of the day, and they reward your garden with blasts of white flowers set in deliberate bunches. 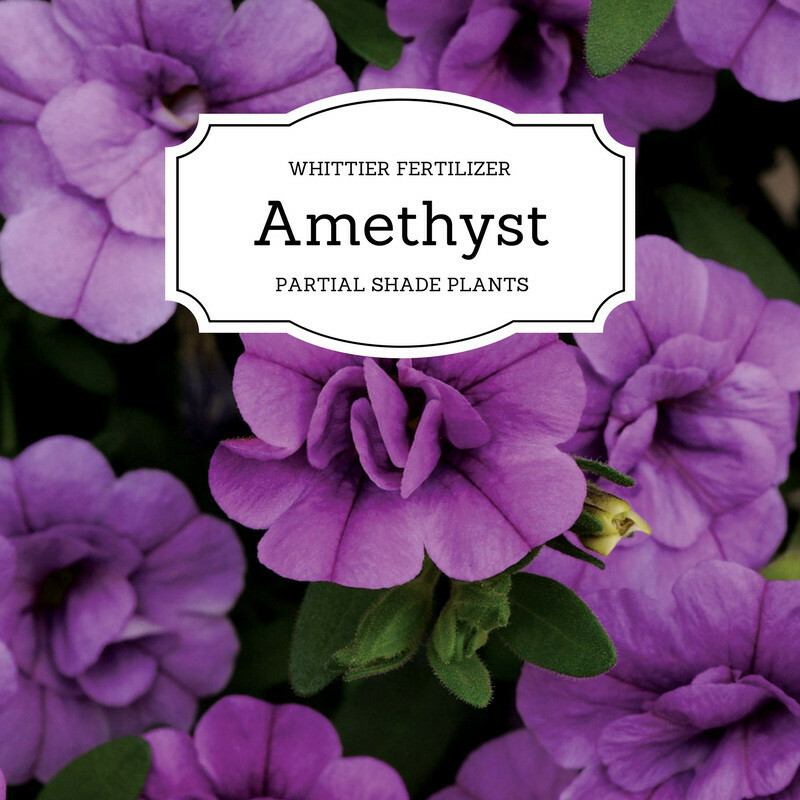 Amethyst – Amethyst flowers are the purplish flowers most commonly seen in hanging baskets. These flowers require a minimal amount of sunlight, and can look great anywhere in your garden or landscaping. 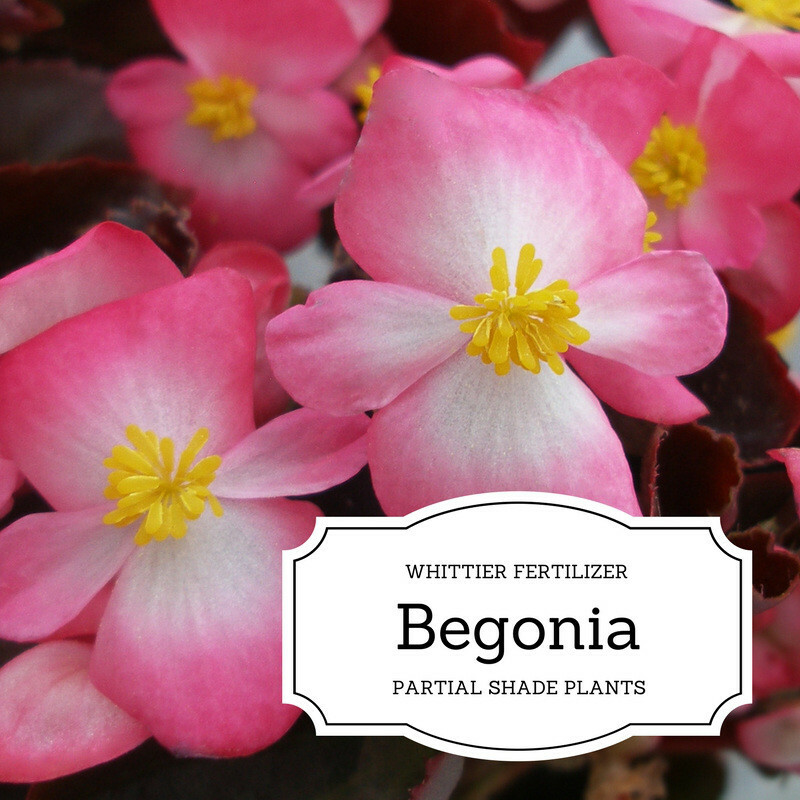 Begonia – The Begonia offers a vibrant flower with a yellow center that can survive in almost any type of shade. You can choose from a variety of colors with the Begonia, and they can grow anywhere there is fertile soil. Watering shaded plants is tricky because the shade tends to slow down the evaporation process for water, and the trees that cause shade can provide extra water as the dew arrives in the morning. Do not put your shaded plants on a regular watering schedule as you could give them too much water and drown them. The best approach is to check each day to see if the soil is getting dry and only add water when there is more dry soil than moist. If you have to contend with shade in your gardening area, then all you need to do is find the right plants to make your garden complete. There are many different types of plants that can survive in varying amounts of shade to help make your garden beautiful. The process of properly caring for sod starts the moment it is installed. The first few months are critical to making sure that your sod takes hold and becomes a lush and green lawn. The clock is ticking the moment you sod is laid down, so it is important to know what you need to do at each stage of the life of your new lawn. The first two weeks are critical as it is important to water your sod at least three to five times a day until it is spongy to the touch. You need to get at least four inches of penetration from your sod to the soil when you water, and you can measure that penetration by carefully lifting a corner of a sod segment to see how deep the water is getting. You need to keep this process up for at least seven days, and it may require a full 14 days of watering for the sod to take hold. If the weather is hot and dry where you are, then a sprinkler should be running several times each day to keep the sod constantly wet. If the sod is not kept wet during this period, then it will dry out. Avoid walking on your new sod as you will leave footprints that will become a permanent part of your lawn. When the two weeks is up, you can allow your sod to dry so that it can be mowed. As the third week approaches, you can reduce your watering frequency to between one and three times a day. You can try to skip a day in between watering, but go back to watering every day if your sod starts to dry out. When you start getting into the end of the first month, you should put a day or two in between watering days. It is important to split up your watering into two segments separated by one hour of waiting time. This allows the water to penetrate to the new root system, which has created a denser soil underneath. You will need to monitor your new sod closely for the first six months of its life. After the first month, you can reduce the number of days you water to two or three each week, and you can also reduce how much water you apply. But you need to keep a close eye on your sod to make sure there are no brown patches. If you see drying sod, then you will have to water. After six months, your sod should be a lush lawn that needs the same amount of water as any other standard lawn. In most cases, you will be mowing your sod for the first time after the second week. But the best way to judge when to mow your lawn is how tall it is. Once your lawn reaches 3-1/2 inches in height, it can be mowed. Do not try to mow your lawn until it has reached that height or you could cause permanent damage. As your new lawn settles in, be sure to add product when needed such as GreenAll Sure Start fertilizer or EB Stone Organics Sure Start fertilizer. The first two weeks of a new lawn’s life are crucial, so be sure to monitor your sod and do what you need to do to give it the chance to take root. Your backyard can be a haven from the world, offering greater privacy than the front yard. It is a place where you can enjoy nature without having to venture outside your total comfort zone. Whether you are an outdoorsy person or just enjoy stepping outside for a few moments, there are ways to optimize your backyard space for beauty, fun, and entertainment. These tips will help your backyard look more spacious and even a bit bigger! Create a squared off vegetable garden. Having a few separate sections of a small backyard can help you feel as though you have a larger outdoor space. 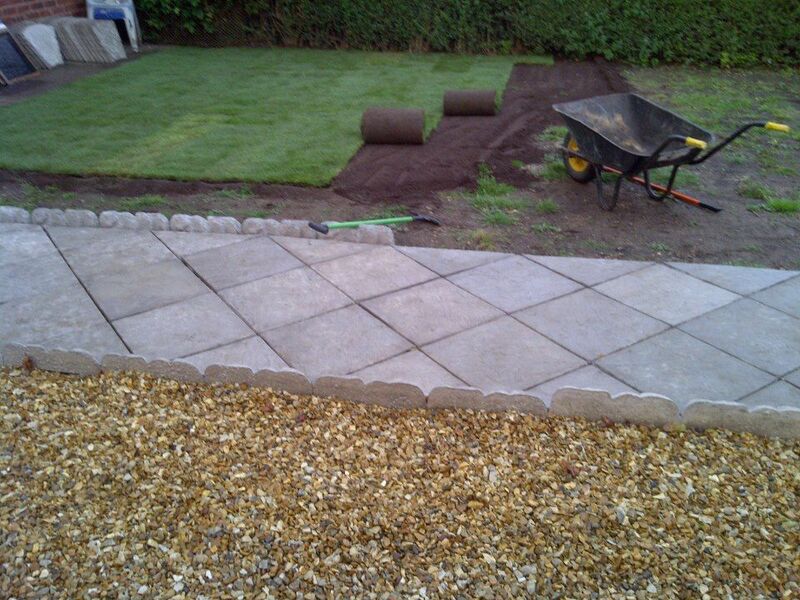 It’s important to have big aspirations for your garden, but make sure that you start small on every level. Focus on the vegetables that you most want to grow, while also considering what is easy for a beginning gardener and what grows best in your climate. Whittier Fertilizer’s GreenAll Tomato & Vegetable Food can help the garden thrive by providing humic acid, micronutrients, and slow-release nitrogen to your plants. One way to really get a double view of the beautiful yard that you have crafted is to hang vintage, decorative mirrors on the back of your hard. Not only will these mirrors show off the gardening you’ve done, but they also reflect the beautiful greenery of your yard. The mirrors essentially make your outdoor space seem larger by reflecting the beauty that is already there. You can just add a couple or go big and add several to cover much of the back of your home. It’s a great “shabby chic” addition to the backyard, and kids will really get a kick out of the reflections. When you have a little space, it can be tempting to fill it up as much as you can with things to enjoy. However, instead of filling your backyard with a lot of furniture, playground equipment, and other items, it’s important to consider that less is nearly always more when it comes to small spaces. Keep the clutter at bay. Kids will be more likely to enjoy the open space of the yard than toys that are too crowded. Likewise, entertaining guests is much easier when there is more room for them to move around and enjoy the natural beauty of the yard. When you have a small backyard, you don’t want to put big pieces of furniture in it. That would only make the space feel even smaller. Instead, opt to plant small bushes over big trees that could potentially overtake the yard. You may opt to focus on grass and gardens instead of trees and bushes in a small space. Your landscaping should be proportionate to the space at all times. Simple gardening tools and equipment from Whittier Fertilizer can help you achieve that goal. Finally, keep in mind that your imagination should be your guide. When it comes to landscaping your most personal spaces, it’s okay to do it your way. Let go of preconceived notions of what a backyard is supposed to look like and go for what you truly want yours to be. 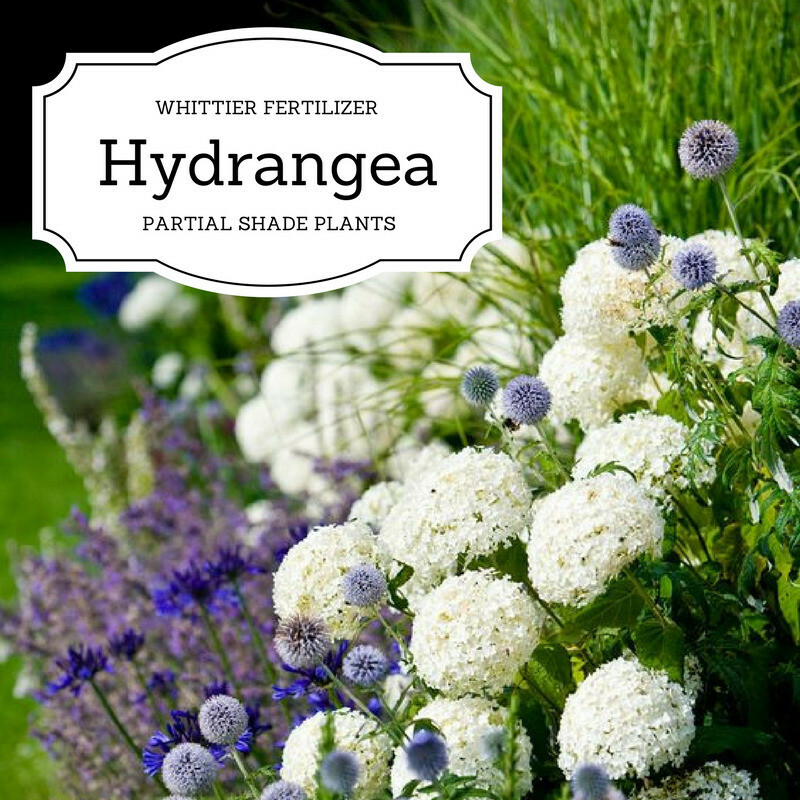 Whether you are envisioning hours of gardening or joyful moments of watching your kids, landscaping products from Whittier Fertilizer can help you achieve your backyard goals. 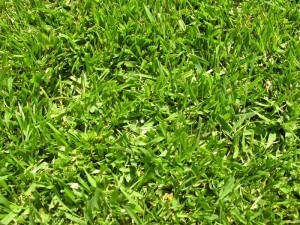 Californians spend literally millions of dollars a year trying to feed and grow the perfect lawn. Unfortunately, a great deal of that money is wasted and many times the efforts that people put into trying to improve their lawns is actually counterproductive and does a great deal more harm than good. Growing a beautiful lawn is both an art form and a science and while only experience can teach you how to read your lawn and know what it’s telling you, science can be a great help in starting you in the right direction, when it comes time to fertilize your lawn. Please keep in mind that California is a very large state with a wide variety of climate and soil conditions spread over its width and breadth and that every type of grass has its own preferences as to soil content and fertilizing needs. This means that the information here should only be used as a general guide. For the best results, you should have your soil tested and then seek the advice of an expert for more detailed guidance. 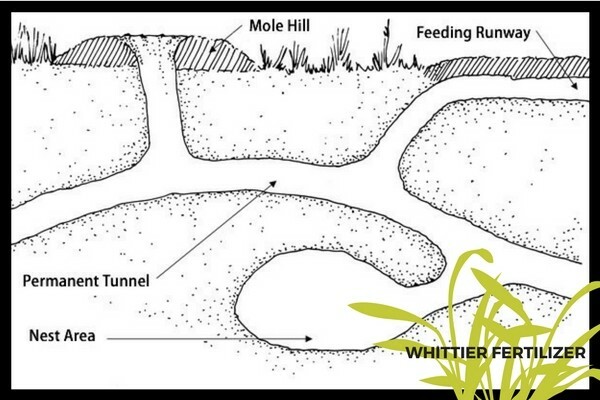 Whittier Fertilizer offers soil testing kits that you can send to a lab for an analysis. These cost around $85. You can also take samples of your soil to a local lab, such as Wallace Laboratories, and gets the results back in around two days. As a general rule, in California, both cool and warm weather varieties of grasses should only require about 4 to 6 pounds of actual nitrogen per year per 1000 sq./ft. By “Actual Nitrogen” we mean that if your fertilizer is 25% nitrogen like “Best Super Turf” You will need to apply 4 lbs of fertilizer to be adding 1 lbs of actual Nitrogen to your lawn. This should be broken up into 4 or more applications over the course of the year with more being better for both your grass and the environment at large. When you over fertilize in a single application you not only risk burning your grass, but you will lose more, of what you apply, to run off and ground seepage. This harms the environment and means you have wasted your hard earned cash and efforts; to no good end. So think smaller, more frequent fertilizer applications or use a slow release fertilizer like “GreenAll Sure Start“. Slow release fertilizers allow you to wait 6-8 weeks between applications and feed your lawn at a more constant rate allowing for better utilization of the nutrients they provide. Turf in heavily shaded areas will only require about half of that needed by grass growing in direct sunlight, so apply fertilizer sparingly under trees and around shrubs. The same can be said for grass growing in drier areas. Growing a beautiful lawn isn’t rocket science, but it is science. Just like a body needs the right nutrients in a proper balance to stay healthy, so does your turf and just like a person overfeeding can cause just as many problems as underfeeding. 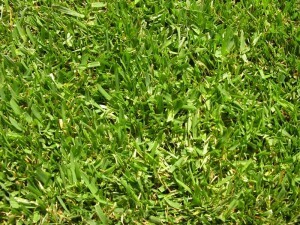 For the best results, contact a qualified lawn care professional, in your area and seek their advice. As you consider which sod to choose for your home, community area, or corporate space, there are a number of factors to consider. Marathon Sods are a popular option, but with 3 different varieties, they can seem confusing. Marathon I is popular due to its durability and beauty. Of the three types of Marathon sod, it is the most well-rounded. The sod grows and recovers quickly, so it can handle daily traffic that might damage the other types of Marathon sod. As a result, this year-round sod is popular for family yards and recreational areas because it doesn’t show wear and tear as quickly as the other varieties. With a pleasant medium green color, the sod should be maintained at a height of 2.5-3.5 inches. Although Marathon II is an advanced development of dwarf tall fescue, it is still quite durable, which allows it to be cut shorter. In addition, it is very dense and is even disease resistant so that you don’t have to worry as much about the health of your yard. Marathon II does grow more slowly than Marathon I, but it grows quickly enough to still offer a good recovery rate. Consequently, it can withstand regular activity and traffic as long as it is not on a daily basis. With a medium to coarse texture and a pleasing deep green color, Marathon II can look appealing all year long. Most experts agree that it should be kept at 2-3 inches. Marathon III is the most delicate of these varieties. With a finely leafed consistency, it looks completely natural. It is extremely dense and has a dark, rich shade of green. Although it is very attractive, it also grows slowly. Since Marathon III grows so slowly, it is not ideal for families. Many residential and community areas prefer it, but it simply cannot handle the traffic caused by children. 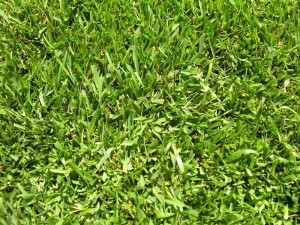 Its popularity comes from the fact that it requires the least maintenance, since you don’t have to mow it as frequently. However, the slow speed of growth also means that brown or damaged spots are visible for longer. If you don’t expect to perform lots of activities on your sod, Marathon III is a cost-effective, attractive option. There will be distinct advantages and disadvantages to whichever Marathon sod you select. Carefully consider how much time you expect to spend walking and playing on your grass so that you can choose a variety that will stay attractive and healthy throughout the year. When spring has sprung and the garden is showing signs of new life, the steps that were taken the previous autumn to prepare it for the winter months will be evident. Winterizing a garden, just like winterizing a home or an automobile, doesn’t take a great deal of time or effort, and the benefits far outweigh the time and effort spent. The end of the growing season is the ideal time to take photos or make drawings of the garden layout, marking the location of perennials so as not to inadvertently disturb them before they return next spring. This is also a good time to decide what worked out well in this year’s garden configuration, what should be repeated next year and what should be replaced with something different. Fall is the time to clean up any debris in the garden, removing the annuals after they have completed their growing cycle, and discarding leaves, weeds and any unhealthy or unwanted growth. This will insure the winter garden doesn’t harbor unwanted insects or other pests. This is also the time to plant flower bulbs expected to bloom in the spring. Putting a layer of gravel in the bottom of the holes dug for bulbs will help protect them from rodents and a layer of good topsoil will offer protection from the winter cold. Once the current growing season has ended, the soil will likely be depleted of many essential nutrients and these need to be replenished. Soil should be tested for pH and adjusted accordingly. Acidic soil, which has a pH level below 6.0, should be given ground limestone. Alkaline soil, with readings of 7.5 or more, should have soil sulfur added. One simple and easy way to replenish nutrients into garden soil in the fall is to add organic compost, which consists of dead organic material such as hay, straw, leaves and grass clippings. A good organic fertilizer containing blood meal will add nitrogen to the soil, promoting lush, green growth next year and is especially good in soils with low pH levels. Adding compost and organic fertilizer in the fall allows them time to decompose into the soil completely during winter. A two- to four-inch layer of MULCH placed over the TOPSOIL (after weeding has been done) is ideal for keeping weeds abated, protecting the ground from the cold, helping retain moisture and deterring soil erosion. It also looks better in a garden than bare soil and will slowly release nutrients into the ground. Mulch can be bought or made at home from shredded leaves, bark, grass, sticks or other organic material. Since mulch is meant to be protective and decorative, not mixed into the soil, there is an almost endless list of materials that can be employed, from asphalt and oyster shells to sawdust or wood-chips. These winterizing steps will ensure a healthy and easy to care for garden next growing season.